Angela will develop clinical relevant dissolution methodology for patients with gastrointestinal diseases. In addition, she will develop an absorption model for gastrointestinal diseases that takes into account differing physiological conditions. Based on comparison with in vivo data, she will further evaluate the in vitro and in silico models. Angela studied pharmacy at the Albert-Ludwigs-University of Freiburg, Germany. After her basic studies she did an Erasmus Placement internship in the department of pharmaceutical technology at the University of Montpellier 1, France, where she worked with polyionic-complex micelles for the delivery of siRNA. 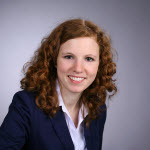 During an internship in the department of Formulation Research & Development at Hoffmann-La Roche AG, Basel, Switzerland, she worked on a pediatric oral suspension formulation and gained insight into the formulation development of small molecules.